← Look for the New N-scale and O-Scale Models in the Collinwood Shop! The 3rd Quarter 2014 NYCentral Modeler is Here! The latest issue of the NYCentral Modeler provides an article by O-scale modeler, Bob Shaw, on building an O-scale New York Central Railroad like railroad. His article is the first in a series that will take us from Bob’s ideas about what his thoughts have been about designing the layout to the benchwork for the layout. In future issues we will follow Bob’s progress as he builds his NYC layout. 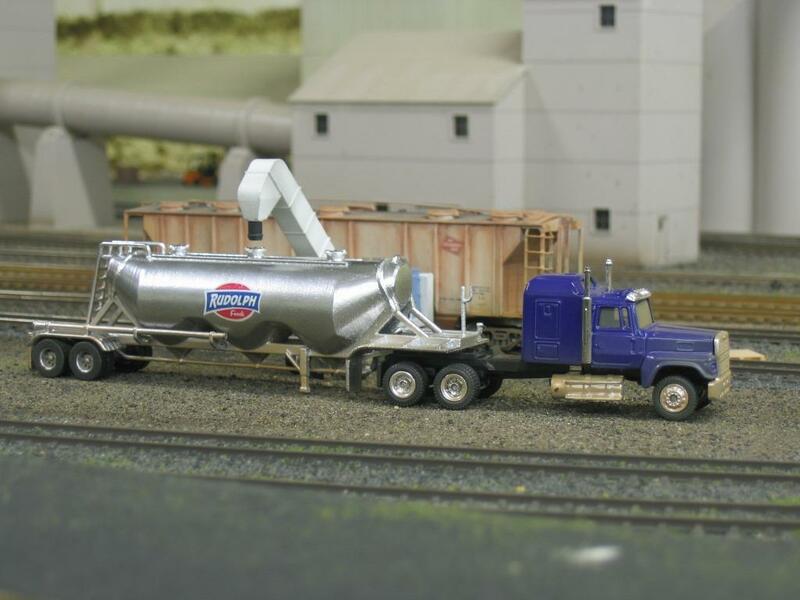 The second article provides us with some more information about the latest modeling technique, 3-D printing, as Barry Clements shows us his “Dry Bulk” trailers and other models. Barry was inspired to contact us by Kyle Coble’s article on 3-D printing in the 4th Quarter 2013, NYCentral Modeler. Of course, the magazine contains the regular features, “The NYC Engineering Department” and “The Harlem Files” that feature another drawing from the NYCSHS collection of building drawings. This month we take a look a the Standard Switch and Flag Cabin and learn how to assemble a kit of the model. “Building my NYC DFA/B in HO-scale – Part 2” takes us back to the end of Rick DeCandido’s article from the last issue and continues to show us how Rick kitbashed this model. Pete LaCuardia returns with another short article about constructing a “Point and Go Tortoise Control” system for the turnouts on his layout. And finally, Ron Parisi continues his series on the “History of the NYCRR’s West Side Freight Lines – Part 2”. Ron’s series on the NYCRR in the New York City area has been a very popular series with many of our readers. This one is no exception as it takes us along the New York Central in the city. You will also find a good guide to using the NYCSHS Website, with links to many of the special features found on our site. The issue contains the regular features of “From the Cab,” “Extra Board,” “What’s New,” “NYCSHS RPO,” and “The Observation Car”. Don’t miss an exciting minute of reading pleasure. Click here to begin reading this issue of the NYCentral Modeler.